So the two player starter set is an excellent place to start, as it is with most games but what is WWX, Wild West Exodus is a miniatures game played by 2 to 4 players each fielding a posse of 3 to 40 models using exciting game play right from the first shot. Each player takes control of one of the five factions and every model has the potential to be a hero or a villain. Even with a larger number of miniatures on the table the WWX rules have been designed to keep the play fast and dynamic. Wild West Exodus has a different game mechanic for influence in that the influence pool is reusable. The influence pool will give players the option to gamble away a set amount of tokens in return for a reroll of the dice. Be careful what you gamble on because once the tokens are committed they are lost for that turn. The D10 system gives the game life and options that round out easily and allow for quick decision making. Desperate men, who have turned their backs on the very concept of decency and honour, live as wanted criminals. These degenerates of society struggle for a moment in the spotlight, caring only for the recognition of infamy. Their egos drive body counts higher and higher with each town they pass through. With the clandestine assistance of renegade scientists these men will stop at nothing to be the strongest, fastest, most frightening specters in the Wild West. From bio-mechanical implants to stolen experimental weaponry, only death may stop their headlong quest for fame and wealth. Powerful weapons and a reckless way of life have made the Outlaws a force to be reckoned with. 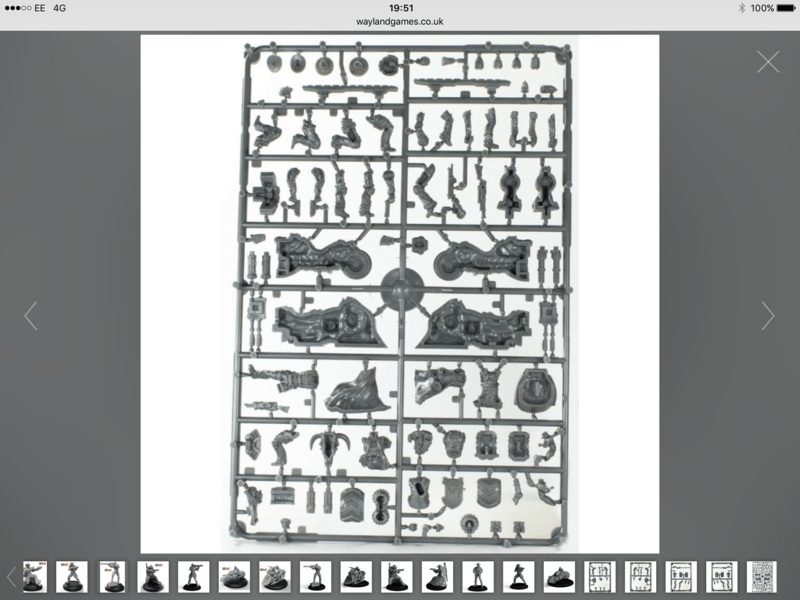 All these miniatures give plenty of scope for your first few games, and despite some of the assembly instructions being wrong, its not to hard to work out what parts go where and the models slip together very easily and quickly. The bases that are provided are really nice lipped bases and fortunately they are available separately so might make appearances elsewhere. Some of the miniatures have a few mould lines but nothing to serious or to difficult to fix. Mine all went together over the space of two building sessions, there is a lot of detail and most of the poses look like they will be reasonably painter friendly once assembled. The templates and tokens included in the box are a really nice touch very thematic and very useful though I would imagine another set or two would be handy for larger games. The starter set comes with a ‘mini’ rule book which although small isn’t lacking in detail, you get a brief description history piece on each of the five factions, well worth a read as it sets a lot of the story up, as well as the rules which are laid out nicely and are easy to follow. The only thing missing is the cards for the game, these will be available later this year, but for the mean time you are going to have to print your own, which is a shame as other than this the WWX starter set could have been the most complete starter sets available on the market. When you do get the cards you will notice than you need very few to play with the starter set as each of the troop cards has 5 trackers on it so you wont need to try and keep so many cards neatly organised beside the table. Subscribe to the blog to be kept up to date when we post new articles. Next up for WWX will be to start getting some paint laid down on them and having a few small skirmish games to get my head round the rules.